MANILA, Philippines - Remember our recent post wherein an SUV counterflowed along Magallanes? 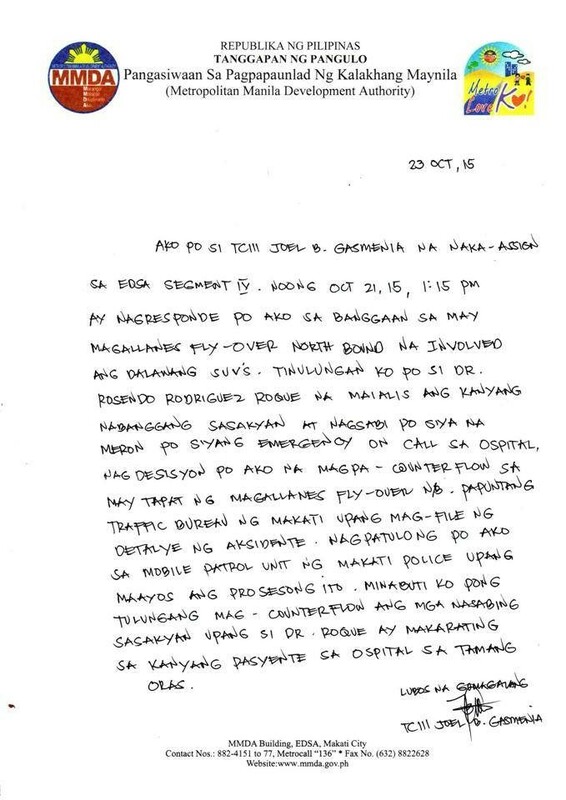 Here's a statement released by the MMDA constable who let him pass thru. MANILA, Philippines - On the video, a guy driving a Suzuki with plate number NIM 771 counterflowed and even had the guts to get angry at the driver who is in the right lane. MANILA, Philippines - Isn't annoying seeing drivers counterflow and still have the guts to get mad if you are on their way? This citizen teaches these drivers a counterflowing lesson. Warning, we do not recommend everyone to do this as this might result to road rage. It just so happens that this guy have the guts to do it. Bravo to you my friend!